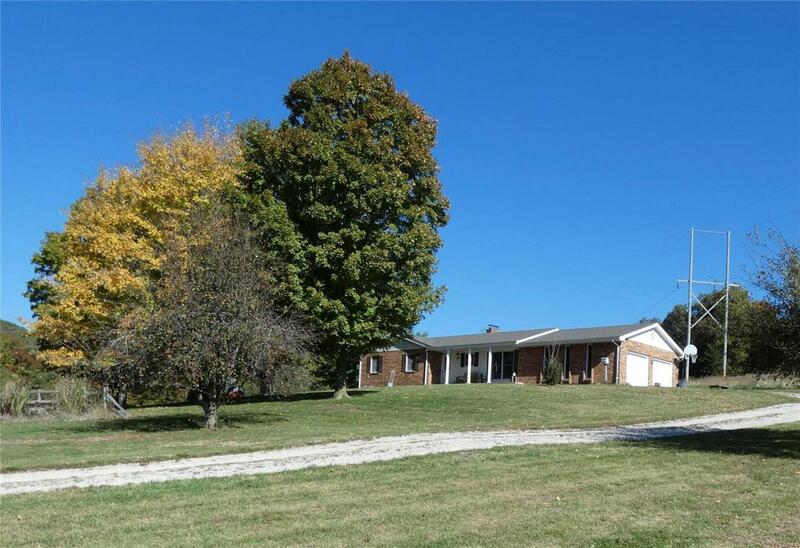 Ranch Home and Acreage For Sale in Hermann!20 beautiful rolling acres perfect for horses with a 3 bedroom home, new detached shop, horse barn and tractor shed! Plenty of property for livestock or horses yet still easily manageable. Existing fencing makes it ready for you to introduce your animals to their new location. This wonderful family home is a brick ranch with 2 car garage, new flooring throughout, new 6 panel doors and trim, and roof is only 1 year old! The wood burning fireplace located in the living room and large windows in the living room and dining room give you a panoramic view of the amazing fall colors outside. Full walkout basement can easily be transformed into much more living space if that is what you need, current owners have already started some of the work! Pear and apple trees on the property too! Call today to view before its gone!